Next time you need your space to smell great in a hurry, try this super quick baking soda and essential oil DIY carpet deodorizer. 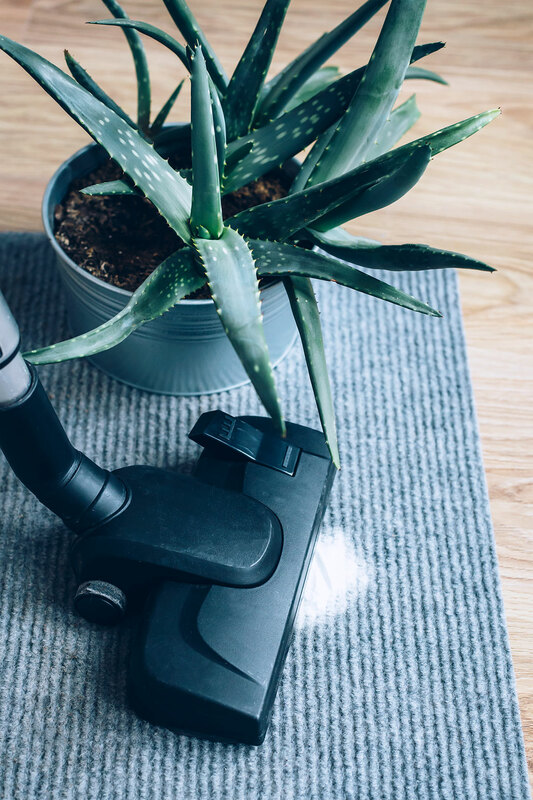 With foot traffic and pets, it’s easy for carpets to get dingy and a bit smelly. This deodorizing carpet cleaner is especially helpful with smells from pet accidents or smoking. 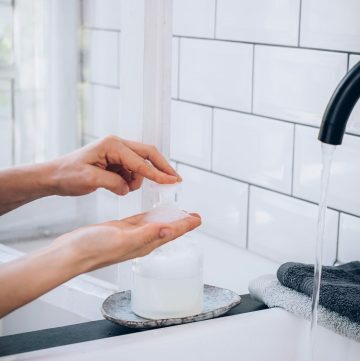 Baking soda absorbs odors and lifts grease and grime, while juniper and lime essential oil leave a fresh, clean scent. 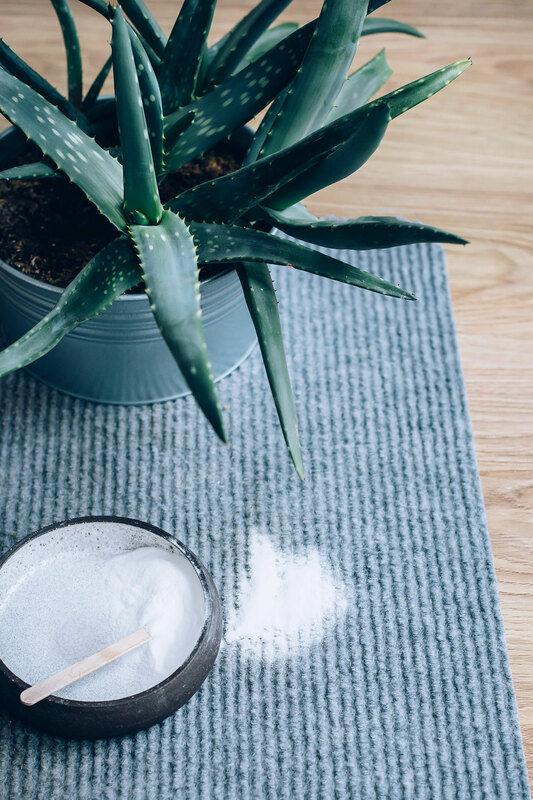 This simple carpet treatment is easy to make, but you’ll want to let it sit on the carpet for a least 30 minutes (longer – even overnight – is fine) to give the baking soda time to work. Tackle your hardwood floors while you wait! 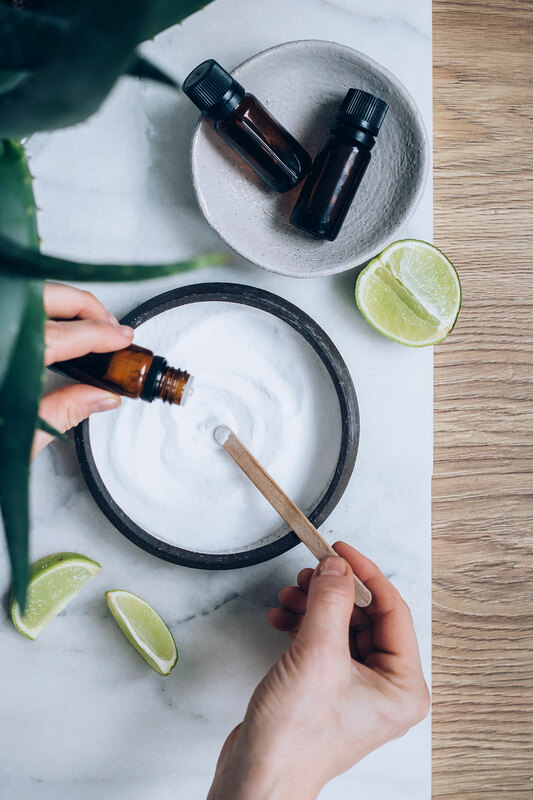 Take it from someone who knows: Exploring ways to scent your home is one of the fastest ways to get hooked on essential oils. Diffusing them not only affects our moods, it also purifies the air around us. Whether you’re deep cleaning or getting ready for a party, a simple essential oil blend will make you want to breathe deep. 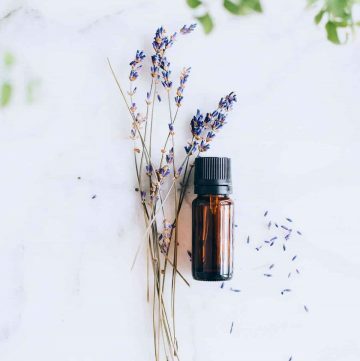 One caution on using essential oils on carpets: Some oils are thicker and have a darker color (e.g., rose absolute, vetiver and patchouli) so be careful if using on lighter colored carpets. If you have carpet stains, my favorite stain remover is hydrogen peroxide. This one ingredient took care of a major pizza sauce stain! 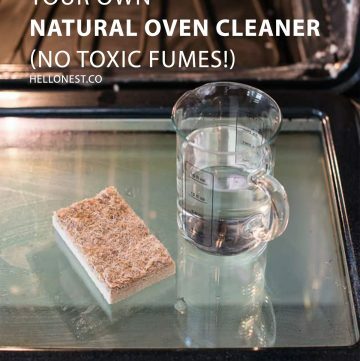 To use, dab on hydrogen peroxide after thoroughly vacuuming up the baking soda. 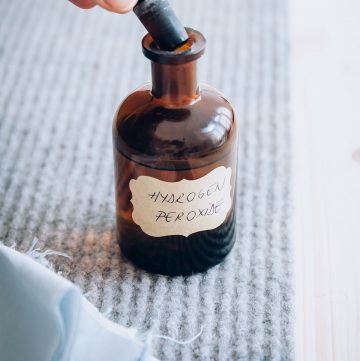 The peroxide works to bleach out stains so test it in an inconspicuous spot if you have dark carpet. 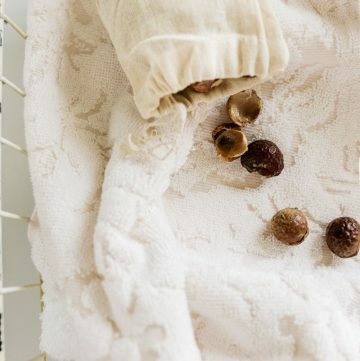 Blot the spot with paper towels to soak up any remaining moisture. Combine essential oils and baking soda, stirring to remove any clumps. Let the mix sit for about an hour to remove any moisture. Sprinkle over carpets and rugs and let sit for 30 minutes. Then vacuum up the evidence. Be careful with essential oils if you have cats. Some of them can cause liver damage and respiratory problems. Plain baking soda also works! Great Post …. lemons, essential oils, vinegar and baking soda are staples in my cleaning routine.